Fancy hand knitted ladies head covering. 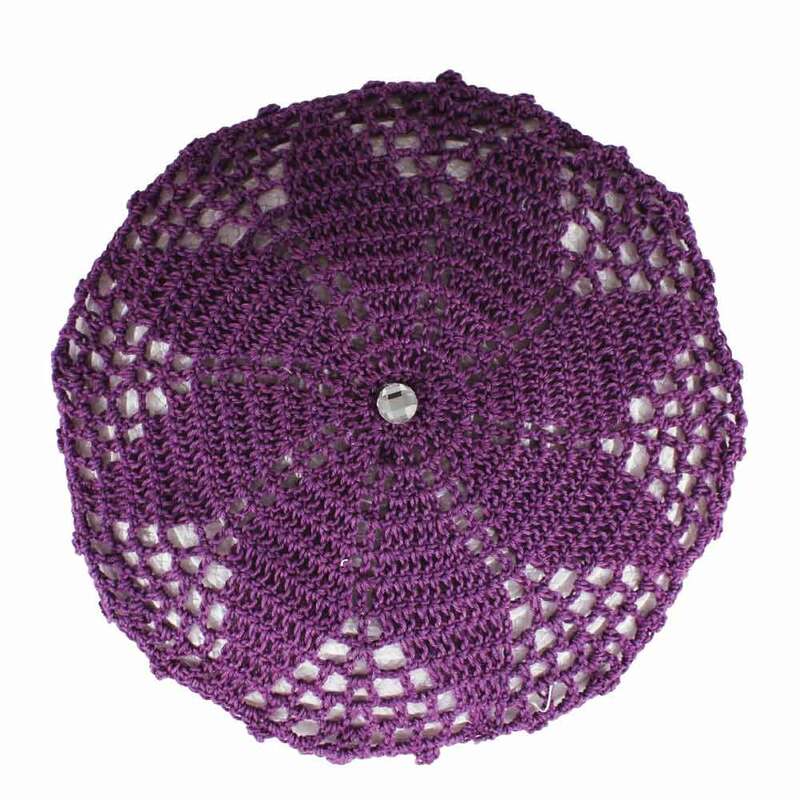 The crochet work is attached to a Kippah shaped canvas, to keep the crochet work in perfect shape. A comb is attached from underneath to secure the Kippah to the hair. 5" Diameter.